So Blue Lily, Lily Blue, the third book in The Raven Cycle, is coming out really soon (October 21st) and instead of writing a review specifically on BL, LB, which some might consider too spoilery (and also, third book! what is or isn't a spoiler at this point? ), I've decided to try to convince y'all to start reading this series... and at the end, I'll have a few words on Blue Lily, Lily Blue specifically. 1) Character Growth: This series is one of the best I've read at managing character growth arcs while advancing the story. Gansey: beneath the surface of the polished, old-money privileged white boy is someone who masks his fear with a quest for more; someone who's brought together a family of his own to cover for the absence of his. Adam, Blue, Noah, Ronan, Maura, Calla, Persephone -- so many of the characters, even the side characters, have a clear character arc. The main characters have a struggle to deal with in every book and watching how the plot events unfolds emphasizes how much Maggie takes advantage of the real estate of her books. Character growth is so well tied in the book plot and series plot, so well planned. 2) The Layered Plots: If you reduce The Raven Cycle to "forbidden romance between a rich boy and quirky poor girl," you're missing out. If you reduce it to "boys on a magical quest," you're missing out. The best thing about The Raven Cycle is that there are multiple elements at play at all times. It is one of the most layered series in YA. If you like anything by Diana Wynne Jones, you will love this series from Maggie Stiefvater. Not only does Maggie have a similar quirky characterization style to Diana but her plots are also as complex as those from Ms. Jones. You can read the summary for each of The Raven Cycle books and think that you know what will happen. You won't. There is a unifying element to each plot, of course, but there is also a lot more going on than what happens superficially and there are a lot of elements at play. Reading the summaries for these books, as written by Maggie, on the Recaptains really highlights just how much is going on all at once. The Raven Cycle reminds me of Harry Potter in that each book in The Raven Cycle has its own plot and can stand on its own... and of course each book is still furthering the series plot. The one complain that I have seen and understood is that yes, the books are more slowly paced than perhaps other quest books might be. But it's slower paced for a reason, and the compromise we get for that slower pace? Atmosphere, more complex characters, more layering. Worth it 100%. It feels utterly appropriate that this series takes place in the South, that it's like a dry, hot summer and drinking lemonade on the porch, languorous and sweet. Read these books! 3) Well-developed Villains: One of my biggest pet peeves is the villain tell all speech a lot of YA books have. Or villains who feel very fake or are only present to serve one purpose in the plot aka to oppose the MC. One ongoing element in The Raven Cycle is the inclusion of a PoV from the various villains. This allows Maggie to develop her villains in such a way that they feel very much like characters but obviously with a more nefarious purpose. Sometimes you'll even root for the villains. I know I have, despite liking the other characters, because one particular villain is just so darned charming, I couldn't help but root for him. Having well-developed villains makes the other elements of her plot, like the quest for these sleeping kings, feel more real and makes the danger and consequences of the quest feel more immediate for her characters. 4) Breaking PNR Tropes/Themes/Layers/Complex Relationships: It's easy to see certain elements in any book as tropes, right? There's a forbidden romance. A magical quest. A boarding school. 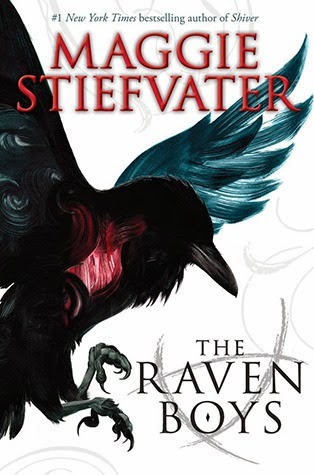 But there's a reason why The Raven Cycle is so well received by literary magazines, and that's because Maggie Stiefvater takes these tropes and twists them into something completely different with her characterization skills, the layering in her plots. There's so much to discuss. You could look at the Arthurian elements, the "trinity" theme to the magic and the literary alchemy principles at play; compare and contrast the portrayals of religion, gender dynamics and the play of power roles, the commentary on social classes and privilege of all kinds... So much to discuss. And because Maggie has layered in so many different themes and symbols and discussion elements, the relationships between her characters feel so very authentic and complex. There's always something more going on besides what you read at the surface level. Sometimes I'll read books or continue with series because I sense potential; this series is FULL of potential, and potential well realized. 5) Atmosphere: Perhaps the thing that I love best about Maggie Stiefvater novels is that her writing convinces you that these places can exist, that the world can be as magical as her words have made it seem. The settings become characters. Feelings set the stage. Characters are brought to life. She makes you feel very much in the moment with these characters. One of my friends once said: "Her writing makes me feel like I'm watching an entire movie unfold in my head." It's because her writing is so wonderful at establishing atmosphere that the audiobook sounds like a real voice-over for a movie. Listen to the Raven Boys audiobook sampler. Will Patton is only able to create atmosphere with his voice because Maggie's writing enables it. And because of her writing, her novels are truly one-of-a-kind. I can't think of anything in YA like The Raven Cycle. 6) Romance/Action/Adventure/Magic: The romance is more of a sub-plot but boy does Maggie know how to write swoon-worthy scenes and build up that sexual tension... Action and adventure come from the layered plots and the magical quests and these AWESOME characters who make me wish I was as cool as them haha. -the most actiontastic book of the series in terms of advancing book plot + series plot. things are picking up y'all and the fourth book is going to be explosive. -i've always been a little ambivalent about Blue - i like her as a character, but the rest of Maggie's characters shine a little more brightly than she does for me - until this book. it's true that this is not a Blue book the way The Dream Thieves was a Ronan book, but it's also true that Blue gets a lot of attention and i felt myself softening considerably towards and relating to Blue a lot more in this novel. also, Gansey. i have always liked Gansey, but in this novel specifically i saw how cleverly Maggie has manipulated his character arc to show him more and more as a teenage boy and less as a fact of his privilege. so if you've felt similarly, perhaps this book will have similar effects for you. -this would actually be my favorite book of the series were it not for the "introduction" effect (aka when you read the first book of a series and are like "!!!!!! can anything ever be THIS good?! what is this world? who are these characters? WHAT ARE ALL THESE FEELS!"). so, TRB > BL, LB > TDT for me, but i actually thought BL, LB was the best executed... something to please EVERYONE... and so much going on! -shippers will rejoice. i won't say which but this book. this book. -what makes a family? can secrets stay concealed from those you love? -character dynamics even more explored, especially between characters who have not interacted with each other as much. makes this entire series feel so well planned, like Stiefvater knows her characters as well as the back of her hands. -magic, written and world-building related. THIS SERIES IS MAGIC. Thrilling. Layered. Literary and Commercial. Beautiful. Atmospheric. Suspenseful. Quirky. Witty. Character-driven. Fun fun fun. If you have not yet read The Raven Boys or The Dream Thieves, if you are not anticipating Blue Lily, Lily Blue, correct this deficiency immediately. I *just* started TRB yesterday! Mainly because I know BL,LB is coming, and I really really want to be able to read it while everybody else does as well (or at least everybody without an arc). So far I'm really liking it, and I'm about 3/4 of the way through. I am DYING to read this book! I had the chance to read an eARC, but I couldn't! I love this series so much that I think I need the final copy in my hands. I'm so excited after reading your review! Yay, I'm so glad you're excited too, Lis! I need a final copy in my hands of this regardless of having read an eARC. The book is just too good not to buy multiple copies :). I like how every character plays a role. From the secondary characters, I absolutely love Persephone. She reminds me a little of Luna. Blue is so nice and sassy, haha. All those layers are brilliantly done and I love how they all come together. I'm not going to read your part on BLLB, because I want to go in with no information whatsoever. I can't wait to get it in my hands! Don't read my part of BL,LB! I debated whether to include anything, but anywho. 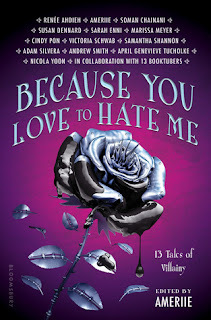 I can't wait for you to read it and for me to also have my pre-order in my hands :D :D. Persephone is so great, you're right she is a little like a grown-up version of Luna... and Blue's sass - I've really come to appreciate it esp. with regard to her observations on Gansey. Enjoy, Mel!!! I hope BL, LB lives up to your expectations! I still haven't read THE RAVEN BOYS... I know it's awful of me, especially since you bought it for me, but there are just so many books! Maybe seeing all the hype about BLUE LILY, LILY BLUE will give me that final push. YESSSS. I hope you enjoy the book, Pam. BL, LB definitely did not disappoint any expectations of mine :D.
Hey, Lisa. I have a couple of friends who actually really disliked Will Patton as the narrator, so if your dislike is isolated to him as a narrator... perchance you can give The Raven Boys another shot? When I first heard the Shatter Me audiobook, I had to return it ASAP because I couldn't deal with the narrator at all, and it had absolutely nothing to do with the book itself. Very well done post - I didn't think it was possible to want to read this series MORE than I already wanted to, but your fangirling has somehow turned up the level of my wanting to read it even more. If only I had the time... I would really love to read them back-to-back, but I have so little time to read, unfortunately. I really must SOON though so that I can see for myself what you're talking about!